Lindy Fralin Vintage Hot Strat Pickups: True Vintage Stratocaster Tone. 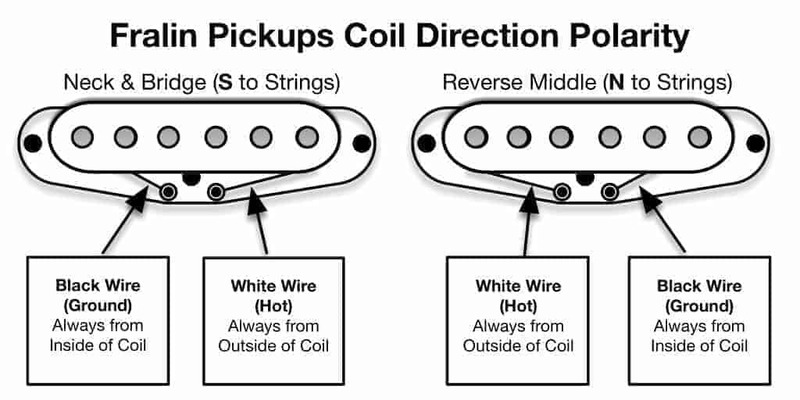 Vintage Hot electric guitar pickups sound like a Stratocaster should. They are our best selling set. Vintage Hots have the most vintage sound – open and airy with lots of sparkle on top. Well-balanced, from lows to highs. This set is perfect for anyone looking for the purest vintage Strat tone. Need some additional Power and Functionality? Grab some before Checkout. THE ULTIMATE SET OF Strat Pickups. 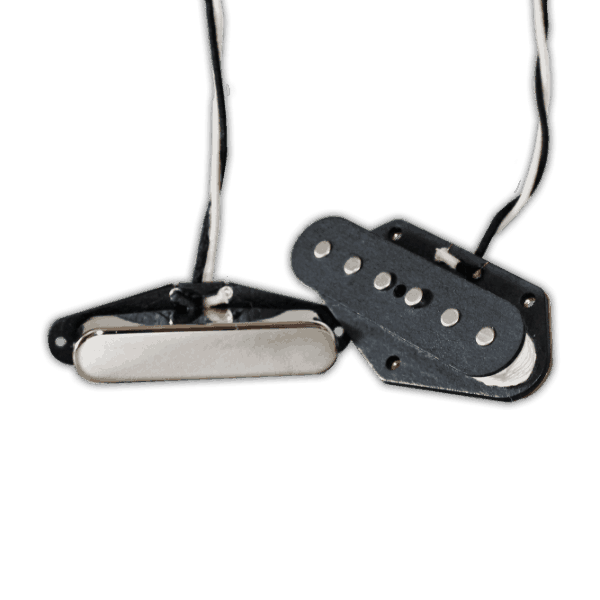 Vintage Hot Pickups: our best selling single coil set. Musicians looking for a sparkling, bright, and open sound will love the sound of these pickups. Vintage Hots give you balanced 50’s Tone: a smooth balance between bright and fat. Vintage Hots are fatter sounding that our Real 54’s, but not as dark as our Blues Specials. These pickups are era-authentic: wound with 42-gauge Formvar wire and built with AlNiCo V magnets. These guitar pickups sound smooth, balanced, and beautiful. Our manufacturing process allows us to achieve unparalleled quality control. 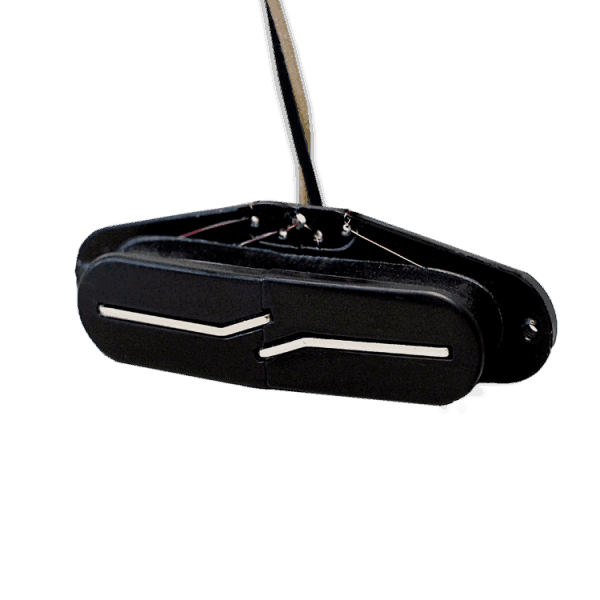 Our Vintage Hots consist of local fiberboard and USA-Made Alnico 5 Magnets. We wind each pickup by hand, one at a time. Each pickup is wound using our proprietary “Sectioning” technique. Our Sectioning Technique gives the pickup a sweet, clear tone. Finally, we wax-pot the pickup to preserve the pickup and prevent microphonics. Vintage Hots sparkle and sound very open and clear without sounding “tinny” or glassy. Clean or dirty, these pickups sound big and full, with an even balance of Bass, Middle, and Treble. The tone cuts through with distortion – while remaining very dynamic and thick. Expect a clear low-end and an acute attack. Single notes cut through with ease while chords have an excellent string-to-string definition. For a similar tone with no hum, consider using our Split Blade Strat Pickups. What Magnet Stagger Do I Use? It all all depends on your fingerboard radius. If you have a 7.25? – 10? Radius, we recommend going with Stock Stagger. If you have a flatter or compound radius, go with Hybrid stagger. How far away from the strings does the pickup need to be? Push your Low E String down at the highest fret. Measure from the top of the pole piece to the bottom of the string. Ideal starting location should be 1/8″ on the bass string, and 1/16″ on the treble string when the High E string is pushed down at highest fret. Vintage Hots are wound with 42-Gauge Heavy Formvar Wire and use USA-Made Alnico V Magnets. 250K Pots Recommended. Vintage Hots will read approximately 6K in the Neck and Middle, and 6.8K in the Bridge. Hello, I am really enjoying the wide spectrum of tones I am getting from all pickup positions. Warm and fat! No complaints at all. Love these pickups…maybe a couple more winds on the bridge would be my absolute perfect output bridge but that’s just me being really picky and by no means a complaint. Love these. Love this set of replacement pickups! I’ve always wanted a vintage sound with hotter output, and the Vintage Hots just fits the bill. Thanks Fralin Pickups for this amazing product!! These pickups are the best I’ve ever had. I have not been able to put the guitar down since I had them installed, and all of my other guitars are getting neglected! My ’77 Stratocaster just got a full set of the vintage hots. She has never sounded so good. True vintage tone in every switch position. My personal favorite is the neck pickup. Beautifully warm and just perfect voicing. These pickups deliver. Thanks Lindy! I added the Vintage Strat to my FrankenTele as the neck pickup. The Vintage Strat shines in the neck position, with a balance between the strat sparkle and the deeper tone of a neck position, the tone is exactly what I wanted. To round out the guitar, I put a Blues Special strat pickup in the middle, and a hum cancelling p90 in the bridge. Great Pickup! Thank you for your kindness and seriousness. Great product! I purchased a second set of neck and middle position pickups to go along with a Fralin Blues Special in the bridge of another strat I purchased. They sound incredible as usual! You guys were tremendous with customer service especially when Lindy calls you directly.,Same review as last. I added the vinatage hot strat at Lindy’s suggestion as part of a set I purchased to upgrade my MIM Fender Nashville Tele. I couldn’t be happier. I use this pickup often in live settings when I want more of the strat sound and this fits the bill perfectly. The response is even across the frequency band, and when combined in positions 2 or 4 gives me all the quack I might need. Not my first, Not my last. Years ago I put a set of Vintage Hots on my Strat. They are still there and are still the best pickups I’ve ever put in there (and there have been quite a few) I finally got the Tele I’ve always wanted and immediately put Fralins in it. Love em. Thank you Lindy. My Les Paul is next. The Hat? It’s good too. I got a RW Vintage Hot Strat in the middle position of a SSS B Bender Telecaster with Fralin Stock Tele pickups in the bridge and neck. Sounds awesome. Now I want Fralins in my other guitars. And I’ll probably get them sooner or later! I’ll definitely buy more Fralins in the future. A genuine smile! I installed the pickups and upgraded the electronics at the same time. I was thrilled right out of the gate. It brought a genuine smile to my face. Kickass – Seriously dope sound. My strat now has the best strat sound I’ve ever heard. A bit in love. These pickups rule. Incredible pickups. Surpassed all of my expectations. I got the hybrid stagger for my 16″ radius neck and the balance is amazing. The folks here are a pleasure to work with as well. I will definitely be a return customer. Wow. Just Wow. With a good setup, quality neck and these Vintage hots installed you just can’t go wrong. Especially through my cranked Silverface ’68 Princeton Reverb Reissue, holy cow do these pickups sound great. Exactly as Strat should sound, these make everything else sound way too hot, with way too many mids or just lifeless and flat. Highly recommend investing in these if your strat doesn’t already have a set of actual, good quality vintage pickups in it already. Something was always nagging me about the G&L Legacy Special obtained in my youth. Maybe it was the humbucking dual-blade pickups, or the PTB™ that kept it from achieving the magical tonality I expected. After installing a set of Vintage Hots and blender configuration I can finally hear the fully realized sound of the this expertly crafted instrument. Replaced a set of emg dg-20 pickups with vintage hot w/ pickguard. Much brighter and fresh sounding. 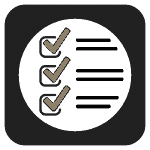 Clean distinct edges to each note. The pickups have great response to the pots. My old pickups clearly didn’t like a couple of my drives; the vintage hots sound awesome with those same drives so now they’re back in the lineup. I basically have a new custom strat with a couple new drives for the price of a set of pickups. Couldn’t be happier with my purchase. Went from a guitar that was seldom played to being my #1. Just installed a set of Vintage Hots in my MIM Strat – it’s like I have a brand new guitar. Somehow the guitar is cleaner & more articulate, but more aggressive & throaty at the same time. I couldn’t be happier. Neck standard stagger. Soundwise everything it was said to be. Very easy to get that sweet gritty sound and still have clarity. 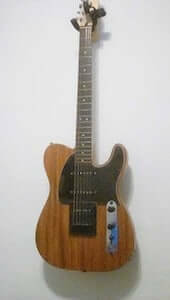 Only drawback was that the white lead cable was quite short and since I bought the neck version it needed an extention. The black lead was longer and A OK! The sound of the Vintage Hots is absolutely incredible. Articulate and versatile, I now love the sound of my Strat. Not only that, Lindy spend a very generous amount of time on the phone with me answering questions and discussing every aspect of my rebuild including shielding, capacitor values, wiring schemes, treble bleed circuits and more. As a result, I tried some things I might not have otherwise and ended up with way more than I bargained for. The pickups shipped fast and I couldn’t be happier. Great product, great company, great people! I discovered a secret. If you want a great sounding guitar, don’t buy a top of the line Fender Strat. Instead find a Squier with a good neck and get Lindy’s Vintage Hot pickups installed. Better sound for a fraction of the price. By the way, I also love his Blues Specials, Split Blades, and Sunbucker pickups. His installation work is also first rate. It’s hard to describe these pickups any better than all of the previous reviewers have, but I’ll offer what I can. I bought myself an MJT relic-job Strat type guit that came with some vintage hots. 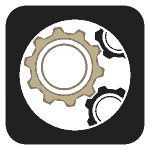 Aside from the beautiful job MJT did, it was the Fralins that attracted me to the GUI in the first place. After a little bit of adjustment (raising the high E side of all three pups), the guitar just came to life. What beautiful tone. Just absolutely perfect. Round, warm, snap, chime. It’s all there. The toughest decision you’ll have is which position you’re gonna want to play in. Nice job guys! Thanks for your dedication to the art and craft of making beautiful pickups. After researching various pups to the nth degree for my American strat, I took a chance on a Vintage Hot set with baseplate. I could not be happier! These replaced a set of DiMarzio Virtual Vintage that I’ve had for years, which I finally admitted to myself never sounded “strat-y” enough. It’s like a completely different guitar. Cleans are super chimey and vintage sounding, just as I’ve been hearing in my head. With some dirt, the pickups have the right amount of growl and bite, with the ability to track incredibly well without losing their character one bit. I am extremely happy and will be playing this axe more and more. The tone is inspiring and sounds as it should’ve from day one! Also, Tyler was helpful with some wiring questions along the way. Try these! Years ago the owner of my local guitar shop told me “just get some Lindy Fralin Vintage Hots, they are the best Strat pickups there are.” I was in to heavier music then and had some hotter Seymour Duncan pups (JB in the bridge and teo Quarter Pounders) in my beloved Strat, but I filed that information away. Recently I decided it was time to make my Strat a real Strat again with three vintage type single coil pickups. I did a lot of looking but finally decided on the Fralin Vintage Hots. I got the baseplate on the bridge and a blender pot as well. I must say I am over the moon with my choice. These things are vintage Strat for days! 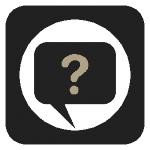 Chimey, glassy, woody, clear, articulate, and amazingly responsive and touch sensitive both clean and with gain. I’m in love! I can’t recommend these more, thanks Lindy and company! I just swapped out the stock pups on my American Select Strat (HSS) with the ‘Vintage Hots’, neck and middle. The difference is absolutely astounding, just an incredible upgrade in tone: more bell-like, glassy clarity throughout. These pups are never leaving this guitar! Completely satisfied. Holy cow are these the real deal…I recently had the opportunity to play a few Strats with Vintage Hots in them next to about 4 different sets of pickups being offered today, and objectively in my opinion, these ran circles around them without breaking a sweat. Worth every penny if you’re into that classic Strat tone, and feel like you can only get ‘so close’ with what the guitar makers offer today. Swapped these into my Am Strat that was good but not great, now it sings. These are the best strat pickups on the market. Period. Need to grab some more for my 57 relic very soon. After two years of searching for the right set of strat pickups I finally broke for a set of these. I have wanted these for a while but went down the road every time the idea came to mind. Not this past weekend. I have not yet installed the base plate, will being doing that soon. My tele has a set of pickups that will stay in it forever, AND NOW my stratocaster has a set of pickups that will stay in it for ever. Thank you Lindy this guitar sounds the way a stratocaster should sound in my head. Also I went with the blender option which is a must in my book. I had the Gilmore switch in and its like that with a whole lot more options. Couldn’t be happier, had the chance to speak with Lindy on the phone as well some time ago amazingly good advice and tremendously friendly. You will not find customer service like that anywhere. His work is worth every penny. Thanks a million. The only thing i can say it is great. 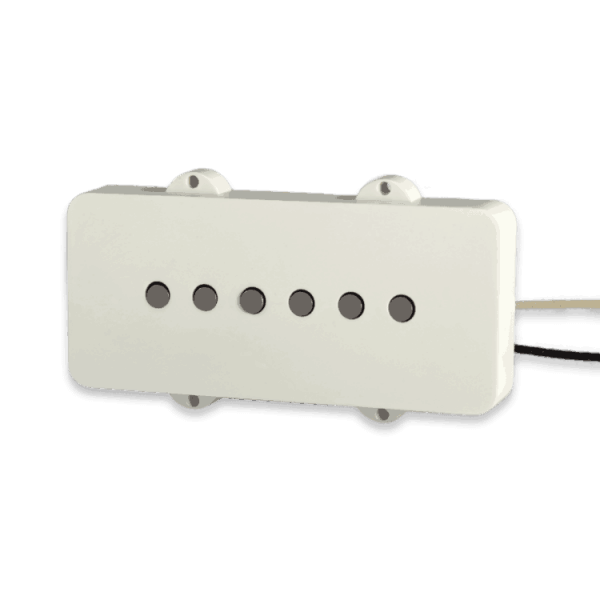 Vintage Hot’s w/Bass Plate are among the best Strat pickups in marketplace and best $260.00 tonal investment you can make. They chime, sparkle and growl….great pickups! !